I wrote this blog for my work’s website today — I thought it perfect for this blog as well….seeing as I AM a survivor…. 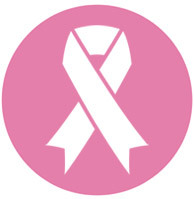 Most people today know someone who has survived breast cancer. Be a supporter. Be a participant. Be aware and be pro-active. Well Done Claudia…. Like everyone else, we all have someone that’s been affected….. I don’t often like to talk about my having had breast cancer, for it’s not a sympathy tool. But it IS a wake up call about early detection. Of that I cannot say enough. Thank you my friend. You said just what I was thinking! There are many success stories out there…I’m soooo glad your mum was one. yeah! its really amazing because its such a long journey, especially when you’re young, like i was 13 when she was diagnosed and she only recently got over it (im 18 now) so im really glad that its over with! Thank you for bringing awareness to an unfortunately all-too-frequent cancer. As a survivor, you know all to well the painful journey it can be. So glad you’re here with us! Thank you for sharing this important topic. Not only did I have breast cancer, but I am living proof for almost 7 years that you can beat the disease. Thank you my friend for sharing this important topic. It should be a topic every month, not just October.